Each year our club selects a "President's Charity". This is led by the club President, but agreed with the club. We also help other charities as and when we can. 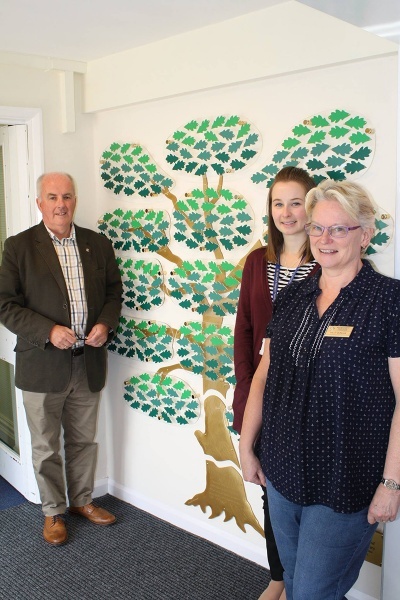 In support of St Michael's Hospice which provides support in both Four Marks and Medstead within its area, we raised funds to help provide a money tree, pictured above. Each leaf on the tree will be printed with the name of a loved one. After a year, the family is asked if they want to keep the leaf at home, at which time it is taken from the tree and mounted in a special box for the family to keep, allowing room for another leaf on the tree.